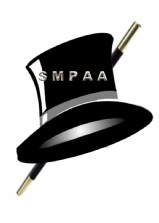 2018 was a busy and successful year for the San Marcos Performing Arts Association (SMPAA). In March, we hosted a performance of Schubert’s Winterreise followed by the most attended Summer in the Park in our 32 year history. In December, we partnered with the SMART Orchestra to produce and perform the Christmas Section of the Messiah at the First Baptist Church for over 500 attendees. The Pass the Hat contributions went to support the SMART Orchestra. While we did receive some support from other sources, including $500 from the City of San Marcos, our costs for the director, accompanist, and miscellaneous expenses were over $3,000. We need your help to replenish these funds and to continue to provide these kinds of cultural opportunities in San Marcos, by becoming a member. SMPAA’s membership rates are intentionally very affordable: Individual $15+, Family $25+, and Business $50+. These donations are tax deductible.